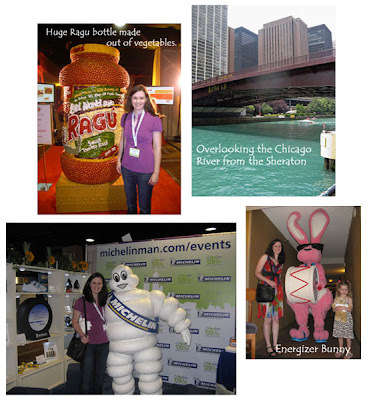 I am loving reading all the stories out there about BlogHer '09. I didn't get to go myself. I have heard good stories and bad stories. It sounds like you didn't have a bad experience, which is awesome. I didn't go see Tim Gunn or Paula Deen either. It sounds like it was so much fun! 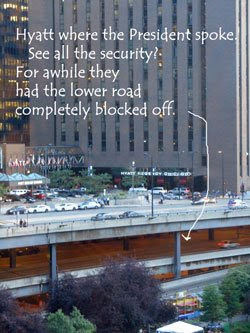 That's sort of usual for traffic in Chicago though, even without Obama! I'd say it's the worst part about the city (and parking is a close second). But once you're there, it's wonderful! All in all, sounds like a great weekend. I would have loved to have gone and taken my kids too. There is so much to do in see in Chicago and it's beautiful in summer. I like that you made it a family event! Hi Janelle! Thank you for introducing yourself at the conference. :) I look forward to reading! Sounds like a great time!! You're a lucky gal!!! Looks like you had fun! I can't wait to see what else you have to say about Chicago. We've been talking about going there for a mini-vacation ourselves. I'm really glad I had the chance to meet you - that was one of the few parties where it was actually possible to converse :-). I'm envious you got to see that Harry Potter exhibit, though! Oh wow, that's so fun! Thanks for condensing the whole thing in a manageable read(most nights I need that Lol). 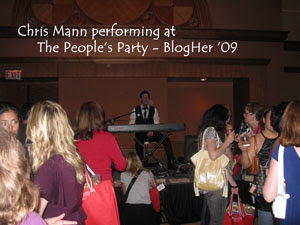 Sounds like you had a great time... you seem to highlight all the positive things of BlogHer. Sounds really busy but fun! !